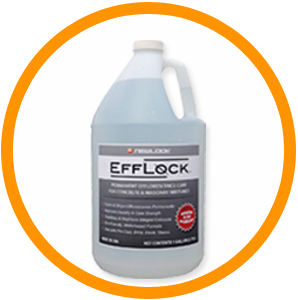 EffLock™ Topical Treatment is a ready-to use water-based solution that is designed to react with efflorescence and impurities, purging them from the cementitious surface. 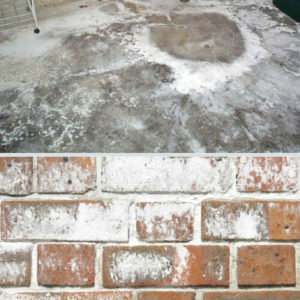 The reaction converts some of these impurities into harmless matter so as to reduce future occurrence of efflorescence. EffLock TT can be used on all cement types and ingredients, including lime, calcium, alpha and beta gypsum, fly ash, volcanic ash and hydraulic cement. 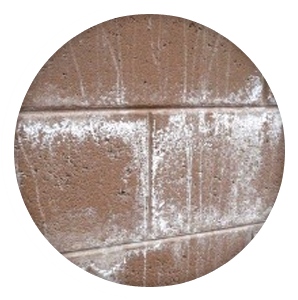 Use EffLock Efflorescence Remover to remove calcium carbonate build up from concrete, masonry and metal surfaces. 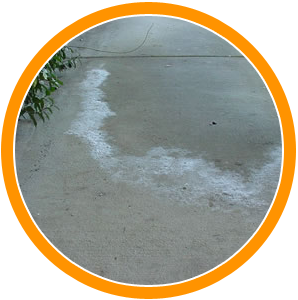 Apply Efflock Topical Treatment to the clean concrete surface. The water-based, eco-friendly formula reacts with and purges efflorescence from the slab at the nano-molecular level. The impurities are brought to the surface, which can then be washed away. Reducing the occurrence of further leaching of efflorescent salt, resulting in enhanced concrete performance.